Married at First Sight casting is now looking for courageous singles from Washington, D.C. to participate in the extreme social experiment. Married at First Sight will be filming a new season in Washington, D.C., and casting for the popular Lifetime reality series is currently underway. The news was recently announced on Married at First Sight's casting pages on Lifetime's website and Facebook. An application for the show has been provided to fans and interested participants, telling singles they could probably use the experts' help in finding their soul mates. According to the application, potential cast members must be available during the following dates for interviews in 2019: June 22-23, June 28-30, and August 1-11. An image was also posted on the Facebook casting page last week that reads, "Ready for the ultimate leap of faith? Exhausted all options? Ready to find the love of your life? We want to hear from you! Apply now at MAFSDC.castingcrane.com." When Married at First Sight had its last casting call in October 2018 in Charlotte, NC, the show was looking for single and brave individuals who appeared to be between the ages of 26 to 40; however, an age limit was not specified in D.C.'s casting materials. Married at First Sight typically changes its filming location each season, with previous editions having taped in cities such as Atlanta, Miami, Chicago, and Boston. The show's eighth edition, which is currently airing on Lifetime, was filmed in Philadelphia, PA.
Married at First Sight features several experts matching up strangers based on their compatibility, physical type, goals, hobbies, religion, views of marriage, and more. The couples then tie the knot after meeting each other for the first time at the altar. The show then documents each couple's wedding day, honeymoon, moving in together, and the daily struggles and joys of life. The latest episode of Married at First Sight's eighth season showed four couples attempting to make their relationships work with only one week remaining until "Decision Day," which is when each couple must decide whether to stay together or get divorced. The four couples are AJ Vollmoeller and Stephanie Sersen, Kate Sisk and Luke Cuccurullo, Jasmine McGriff and Will Guess, and Kristine Killingsworth and Keith Dewar. 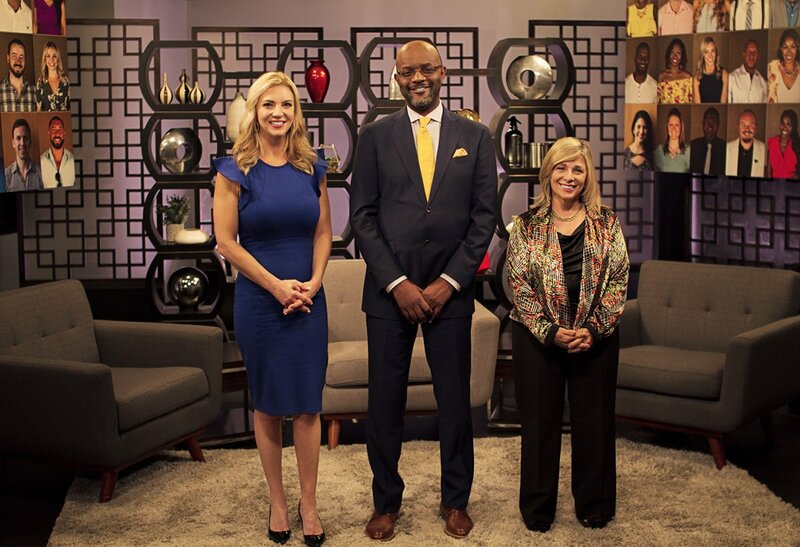 For the Philadelphia season, the experts who matched the couples were Dr. Jessica Griffin, a Boston-based psychologist and professor who previously appeared on FYI's Seven Year Switch reality series; sociologist Dr. Pepper Schwartz; and marriage counselor Pastor Calvin Roberson.